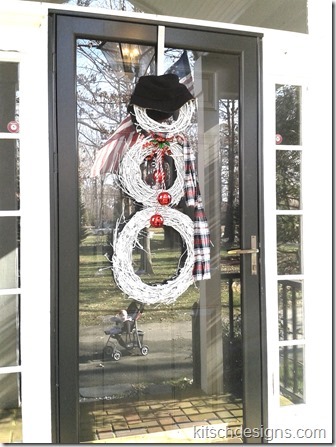 Last year I wrote about adding a little holiday décor to our front door in the form of a heart shaped, yarn wrapped wreath. And, although I liked how it turned out I was disappointed at how much it faded into the dark color of our front door. While our house does sit back from the road, with trees across the front, I did hope to be able to glimpse the wreath on the door when pulling in or even driving by. Unfortunately, it was very difficult to see until you got right up to the front porch. Dark red on dark black door = disappearing décor. So, I got the idea to add a sort of lace doily effect to the back of the wreath giving it a white outline. The hope was to make it pop against the dark door. After considering many options (foam core board, stiffened fabric, actual paper doilies, etc.) I discovered stiffened felt at Joann’s craft store last week. I had completely forgotten about this stuff and was super excited to see that I might have an easy option to work with for my idea. The only downside was that the largest piece I saw was only 12” X 18” , which meant I would need to put two pieces together in order to cover the back of the wreath with overhang. At that point I was not really sure this was going to come together the way I envisioned, but the low cost and ready-to-go materials made for a project just my speed these days. Easy, I’m all about it. Oh, that might not have come across the way it was meant….but trust me, this prude meant it in the lazy way! The next step was to tape the stiffened felt together using clear packing tape so it would not show through to the front. 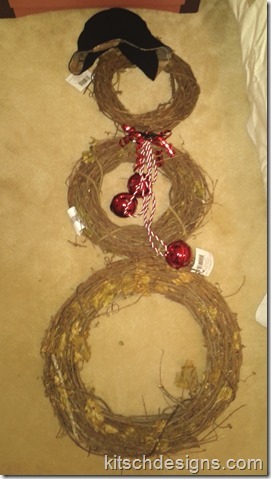 I knew this was not going to be a permanent solution to keeping the pieces together, but it did work to hold them in place while making the design and attaching it to the wreath. My first attempt to freehand the scallop around the heart wreath was with a disappearing fabric marker (greatest invention around! ), but the bumpy nature of the felt and the felt tip of the marker were not a match. So, I resorted to using blue tailor’s chalk instead. Because I did all of this freehand, things were not perfect and I made most of my cuts inside the lines to eliminated some wonkiness and the blue chalk. After cutting out the basic heart shape with the scalloped edge I used an oval hole punch to add the cut-outs within each bump of the scallop. Using fabric fusion, I glued the heart wreath directly to the white felt backing. Since the wreath is a little uneven due to the wrapped yarn, I also used some fabric piles to help weigh it down a little for a better hold. After a night of drying I used a couple of T-pins shoved through the felt and into the back of the heart for an added safety measure in keeping the felt “doily” in place. Wholla! Revamped Valentine’s Day wreath that can be seen from farther away than the bottom step! Kitschy, but fun for another year. 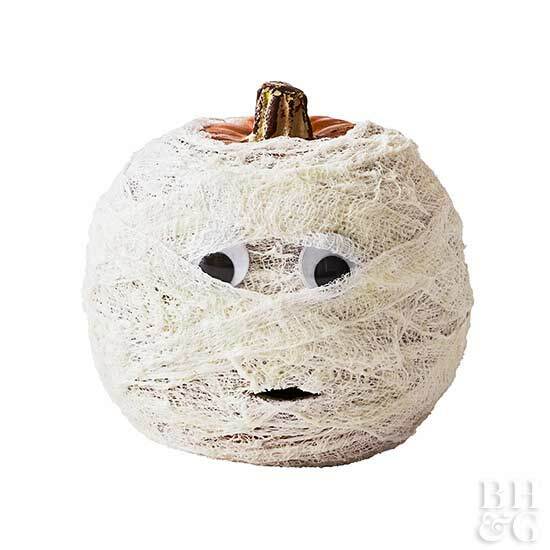 What type of holiday décor are you guys using to spruce your pads this year? In an attempt to add a little celebration to our lives each month we have decided to get on board with the holidays- no matter how small. Not that Valentine’s Day is an insignificant holiday, but to us it’s just not the same as Christmas or Thanksgiving. Those are the majors. Most other holidays fall into a different category around here. One in which we have a simple, but special meal, a quick holiday greeting, maybe a card, and then we move on with our lives. Usually there are no major decorations going up or weeks of shopping for the right gift. No serious large meal planning and work to get ready for a stream of houseguests. However, we have decided as a family that we would like to make sure we do acknowledge the special days throughout the year so we don’t lose site of what is important to us. Love, God, Fights for Freedom, Independence…you get the picture. 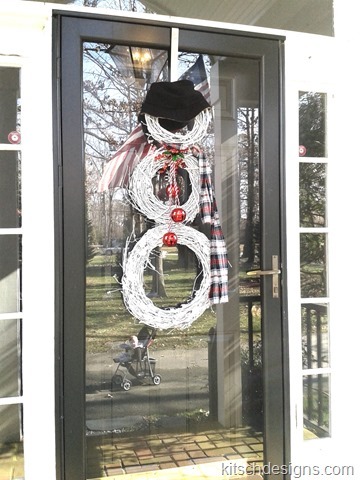 So, this year I finally got around to putting together a bit of holiday décor for the front door as a sweet reminder that this is the month of love. After long admiring those wrapped yarn wreaths you see all over places like Etsy, I decided to give it a try myself. My goal was to create something cute, but only with materials I had around the house. That was key! I did try to find a foam heart form for the base because I thought it would be easier to work with, but the only ones I found were on the small side Which ended up being a good thing because I really did not need a foam form after all. I ended up using a cardboard box that was laying around the house as a base for the wreath. I don’t knit or crochet, so I did have to break down and buy some yarn, at $2.79, a skein for this project since that is not a supply I keep on hand. As I cut out the form I rounded the points a bit to help with the wrapping process. To give the form some bulk, softness and a little shape I wrapped it with some leftover heirloom cotton batting. Then I just went to town wrapping the yarn around and around the form until I had the coverage I wanted. It took two times around the whole thing, but with all the curves and points I had to get a little creative in the wrapping process. At one point I realized if I kept things smooth and did not backtrack from to far up the line I could wrap the yarn outward instead of just along the form. In other words I could keep wrapping in one area until I had the coverage just right and then I could move along the form. The trick was to just be sure that you wrapped the next area to the same depth as the one before it. Otherwise you would end up with bumps and lumps. Once I realized I did not have to do one overall layer at a time things went pretty quickly. 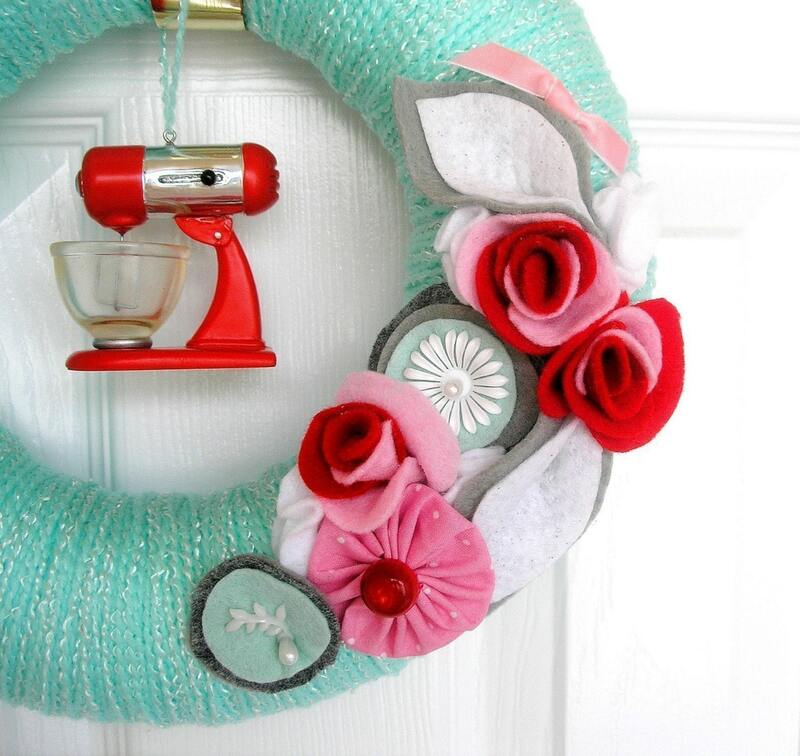 Of course I wanted to embellish the finished wreath with something a little Springy. So, I cut flower and leaf shapes out of vintage and reproduction fabric scraps. Then I coated them with fabric stiffener. Before they completely dried I folded, curled and rumpled them up a bit to give them some character. After they completely dried I stitched the pieces together to form larger flowers and used vintage buttons to finish off the centers. I also really wanted some kind of ribbon or bow with tails to add a little charm. I think this vintage scalloped trim did just the trick! Later I broke out the glue gun and added the flowers. I think it came out pretty cute for a quick, couple of afternoons project. I figured it can grace our door through the end of the month, by which time I hope to have come up with something for March. Clover maybe, or a horseshoe? Hmmm….